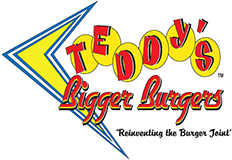 Teddy’s delivers a quality burger at a good price – consistent seasoning with quality toppings. Teddy’s finished very high in the rankings and he takes the top spot of any of the local chain restaurants for tasty burgers. I’d eat another Teddy’s burger without thinking twice about it. A strong point for Teddy’s is the french fries; they were the best fries of all of the places we tried. Overall, a very decent meal in a cheerful, clean and comfortable shop. Teddy’s also has the advantage of several locations with shops in Kailua, Hawaii Kai and his newest spot at the Diamond Head end of Waikiki. It’s a cash-only operation so be prepared with your dollars in hand. 7 ounce Cheeseburger $5.15, Small Fries $1.65, Total $6.80.